The Story of the Little Critter That Causes Big Problems! No one is immune to the everyday villain that often goes unnoticed to the human eye. This annoying bacterial spirochete, Borellia bourgdoferi (Bb), masquerades as a sly mini vampire who first invades the blacklegged tick (Ixodes scapularis) in order to enter into your bloodstream. Although we may blame the tick, who hungrily scopes us out when we aren’t looking, waiting to feast on our blood, the real issue is when the tick regurgitates his infested saliva back into us that the real horror show begins. The dubious properties of this “Mini-Me” version of terror has allowed it the opportunity to star in its own documentary and earns it place as the number one bacteria responsible for Lyme disease (LD). Furthermore, co-infections can complicate matters and intensify symptoms.6-9 This means that a single tick could be infected with more than one microbe. These co-infections include Lyme borreliosis, anaplasmosis, babesiosis, and B. miyamotoi infection. The estimate of people with LD for 2013 was based on three ongoing studies by the CDC. These projects consisted of referencing medical claims of 22 million insured people annually for six years, a survey of laboratory confirmations, and a self-reported survey of Lyme disease cases. Although more than 30,000 LD cases were reported to the CDC, earning its place as the most reported tick-borne disease illness in the United States, the newer estimates suggest that the total number of people diagnosed are more likely 10 times higher. Just how did the discovery of Lyme come about? In congruence with the stealthy mechanism of the Lyme tick, it being the causative agent for the disease was only discovered when a group of rheumatoid arthritis cases appeared among children in Lyme, Connecticut and two neighboring towns in 1970. When it was determined that most of the children with arthritis lived and played near wooded areas and had symptoms during the height of tick season (summer), the attention was drawn to deer ticks. Researchers began referring to this condition as Lyme in the mid-1970s to help physicians diagnosis the cases. Around the same time, Dr. Wilhelm Burgdorfer was studying Rocky Mountain spotted fever with Jorge Nenach, trying to determine the cause of more than 100 spotted fever cases in NY from 1971-1976. In 1978, Dr. Burgdorfer was on sabbatical in Switzerland doing research and noticed movement between the cells and tissue of six ticks he dissected. He realized that this movement came from larvae developing into a parasite found in deer.17-18 When none of the American dog ticks studied had helped resolve their mystery of Rocky Mountain Spotted fever, Dr. Burgdorfer suggested they try studying a new tick vector, the deer tick. It wasn’t until 1981 that NIAID researchers at Rocky Mountain Laboratories (RML) in Hamilton, Montana assisted Dr. Burgdorfer and identified the cause of Lyme disease and discovered the connection between the deer tick and the disease.18 That’s quite a span of time from when the first cases of rheumatoid arthritis appeared in the children in CT.
First, the EIA (enzyme immunoassay) or rarely, an IFA (indirect immunofluorescence assay) is used. If negative, no further testing is recommended. With a positive or indeterminate (sometimes called “equivocal”) result, a test called an immunoblot test, commonly known as a “Western blot,” is indicated. Positive results are only confirmed if the EIA/IFA and the immunoblot are both positive. The CDC recommends that if the Western immunoblot is used during the first four weeks of disease onset (early LD) using both immunoglobulin M (IgM) and immunoglobulin G (IgG) procedures. False positives for IgM test results can occur with those greater than one month of illness, so it is recommended that the IgM only be used acutely. 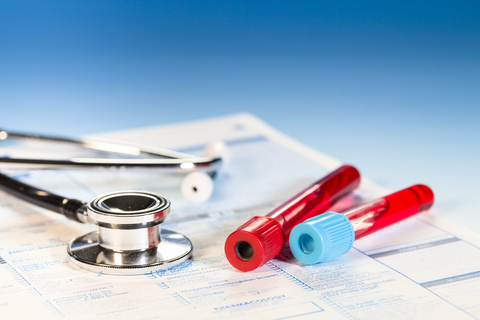 Other tests include PCR testing, FISH, and various Lyme cytokines.41-44 Conventional labs can also indicate a chronic infection such as anemias (especially with Babesia co-infections), high ferritin and CRP as markers of inflammation, and various markers of immune deregulation such as complement testing and CD50 count. However, these tests are not specific for LD. Lifestyle factors such as optimizing sleep,45 reducing stress, decreasing toxic exposures (especially mold),46-47 and modulating immune balance are paramount for LD sufferers. Due to the morphological shifts of spirochetes and the co-infections, symptoms can wax and wane and the use of various combinations of botanical and prescription antimicrobials that are cycled related to the changing shapes of Bb have been used by experts in LD treatment, such as wormwood (Artemisia annua), 48-49 bearberry (Berberis vulgaris)50-51 and grapefruit. Supplements specific for LD’s current symptoms, such as neurological or cardiac, should also be utilized. Furthermore, the impact of the microbiome cannot be underestimated. Dietary support with plenty of whole foods and fiber should be incorporated along with probiotics for gastrointestinal health. (1) Center for Disease Control and Prevention. Lyme: Data and Statistics. CDC website. March 4, 2015. (2) Center for Disease Control and Prevention. Reported cases of Lyme disease by state or locality, 2004-2013. March 19, 2015. (3) Salkeld DJ, Cinkovich S, Nieto NC. Tick-borne pathogens in northwestern California, USA [letter]. Emerg Infect Dis. March 2014; DOI: 10.3201/eid2003.130668. (5) Clark KL, Leydet B, Hartman S. Lyme Borreliosis in Human Patients in Florida and Georgia, USA. International Journal of Medical Sciences. 2013;10(7):915-931. doi:10.7150/ijms.6273. (7)National Institute of Allergy and Infectious Diseases (NIH). Lyme Disease: Co-Infection. NIH Website. http://www.niaid.nih.gov/topics/lymedisease/research/pages/co-infection.aspx. (8) MANAGING LYME DISEASE, 16th edition, October, 2008. (9) Swanson SJ, Neitzel D, Reed KD, Belongia EA. Coinfections Acquired from Ixodes Ticks. Clinical Microbiology Reviews. 2006;19(4):708-727. doi:10.1128/CMR.00011-06. (12) Lader E. Lyme disease misdiagnosed as a temporomandibular joint disorder. J Prosthet Dent. 1990 Jan;63(1):82-5. (13) Aucott JN, Seifter A. Misdiagnosis of early Lyme disease as the summer flu.Orthopedic Reviews. 2011;3(2):e14. doi:10.4081/or.2011.e14. (14) Paparone PW. Polymyalgia rheumatica or Lyme disease? How to avoid misdiagnosis in older patients. Postgrad Med. 1995 Jan;97(1):161-4, 167-70. (22) Bubeck-Martinez S. Immune evasion of the Lyme disease spirochetes.Front Biosci. 2005 Jan 1;10:873-8. (23) Sapi E, Bastian SL, Mpov CM, Scott S, Rattelle A, Namrata P, et al. Characterization of Biofilm Formation by Borrelia burdorferi In Vitro . PLoS One. October 24, 2012. DOI: 10.1371/journal.pone.0048277. (24) Hanincova K, Mukherjee P, Ogden NH, et al. Multilocus Sequence Typing of Borrelia burgdorferi Suggests Existence of Lineages with Differential Pathogenic Properties in Humans. Stevenson B, ed. PLoS ONE. 2013;8(9):e73066. doi:10.1371/journal.pone.0073066. (25) Girard YA, Fedorova N, Lane RS. Genetic Diversity of Borrelia burgdorferi and Detection of B. bissettii-Like DNA in Serum of North-Coastal California Residents. J. Clin. Microbiol. March 2011 vol. 49 no. 3 945-954. doi: 10.1128/JCM.01689-10. (26) Attie O, Bruno JF, Xu Y, Qiu D, Luft BJ, Qiu WG. Co-evolution of the outer surface protein C gene (ospC) and intraspecific lineages of Borrelia burgdorferi sensu stricto in the northeastern United States. Infect Genet Evol. 2007 Jan;7(1):1-12. Epub 2006 May 8. (29) Aucott JN, Rebman AW, Crowder LA, Kortte KB. Post-treatment Lyme disease syndrome symptomatology and the impact on life functioning: is there something here? Quality of Life Research. 2013;22(1):75-84. doi:10.1007/s11136-012-0126-6. (30) Hodzic E, Feng S, Holden K, Freet KJ, Barthold SW. Persistence of Borrelia burgdorferi following Antibiotic Treatment in Mice. Antimicrobial Agents and Chemotherapy. 2008;52(5):1728-1736. doi:10.1128/AAC.01050-07. (32) Bradley JF, Johnson RC, Goodman JL. The persistence of spirochetal nucleic acids in active Lyme arthritis. Ann Intern Med. 1994 Mar 15;120(6):487-9. (33) Fraser DD, Kong LI, Miller FW.Molecular detection of persistent Borrelia burgdorferi in a man with dermatomyositis. Clin Exp Rheumatol. 1992 Jul-Aug;10(4):387-90. (38) Jin C, Fall DJ, Roen D, Kellermann G. iSpot Lyme: A New Generation of Lyme Disease Testing. Pharmasan Labs, Inc, Neuroscience, Inc. April 2013. (39) Goldman, Erik. New T-Cell Test a “Game-Changer” for Lyme. UpShots: Holistic Primary Care. Fall, 2013; 14(3). (41) Lee SH, Vigliotti JS, Vigliotti VS, Jones W, Moorcroft TA, Lantsman K. DNA Sequencing Diagnosis of Off-Season Spirochetemia with Low Bacterial Density in Borrelia burgdorferi and Borrelia miyamotoi Infections. International Journal of Molecular Sciences. 2014;15(7):11364-11386. doi:10.3390/ijms150711364. (42) Aberer E, Duray PH. Morphology of Borrelia burgdorferi: structural patterns of cultured borreliae in relation to staining methods. Journal of Clinical Microbiology. 1991;29(4):764-772. (43) Hammer B, MOter A, Kahl O, Alberti G, Gobel UB. Visualization of Borrelia burgdorferi sensu lato by fluorescence in situ hybridization (FISH) on whole-body sections of Ixodes ricinus ticks and gerbil skin biopsies. Microbiology. June 2001 vol. 147 no. 6 1425-1436. (44) Sapi E, Kaur N, Anyanwu S, et al. Evaluation of in-vitro antibiotic susceptibility of different morphological forms of Borrelia burgdorferi. Infection and Drug Resistance. 2011;4:97-113. doi:10.2147/IDR.S19201. (45) Nucci, M, Marr, M. Emerging Fungal Diseases. Clin Infect Dis. (2005) 41 (4): 521-526. doi: 10.1086/432060. (46) Centers for Disease Control and Prevention, Department of Health and Human Services. Fourth National Report on Human Exposure to Environmental Chemicals. 2010. http://www.cdc.gov/exposurereport/. Accessed March 2010. (48) Krishna S, Bustamante L, Haynes RK, Staines HM. Artemisinins: their growing importance in medicine. Trends in Pharmacological Sciences. 2008;29(10):520-527. doi:10.1016/j.tips.2008.07.004. (49) Krishna S, Bustamante L, Haynes RK, Staines HM. Artemisinins: their growing importance in medicine. Trends in Pharmacological Sciences. 2008;29(10):520-527. doi:10.1016/j.tips.2008.07.004. (50) Berberine. Altern Med Rev. 2000 Apr;5(2):175-7. (51) Cernáková M, Kostálová D. Antimicrobial activity of berberine–a constituent of Mahonia aquifolium. Folia Microbiol (Praha). 2002;47(4):375-8. By Sarah Lobisco| 2015-05-08T03:40:38+00:00	May 8th, 2015|Latest Articles, Naturopathic, Newsletter Postings|Comments Off on As Summertime Hits, Here Comes the Ticks!